English composer and former lead singer and guitarist of Pop Will Eat Itself, Clint Mansell has been making fantastic soundtracks for the last 11 years. His original foray into soundtracks was with his score for the haunting film π in 1998. Since, he has released some of my favorite atmospheric and contemporary classic music with Requiem for a Dream and the Fountain. His track "Lux Aeterna" remains one of my favorite pieces of contemporary music despite its over use in movie trailers. 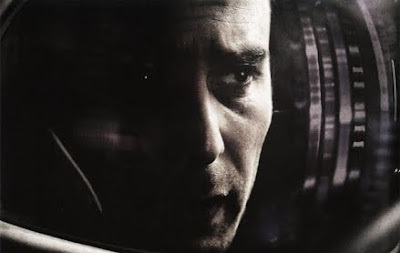 Mr. Mansell has again created a fantastic film score for the film Moon (which happens to start one of my favorite actors, Sam Rockwell). I have not had the opportunity to watch the film but certainly look forward to it after listening to this sound track several times. Check out a track and go see the movie. Clint Mansell - "Welcome to Lunar Industries"
Buy: Get the soundtrack here (iTunes). You should watch it, it's good!